Menopause, when periods stop for good, is a normal stage in every woman’s reproductive life. The symptoms usually begin in a woman’s forties, with the average age of menopause itself being 51. Experiences differ from woman to woman. Some report sailing through transition, others are pleased to no longer menstruate or be able to fall pregnant, or just embrace getting older. There is a range of advice available for employers on menopause as a workplace issue. Some of the best guidance we have found is provided by Business in the Community, a responsible business network run by the Prince of Wales. There are also pioneers like retailer Marks and Spencerand the Nottinghamshire Police Service, who have provision in place already. 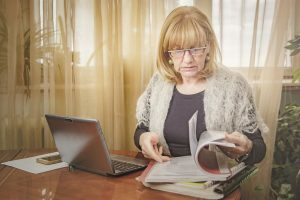 Others, like the water company Severn Trent and the University of Leicester (where three of us work), are developing this provision, supported by consultants from Henpicked:Menopause in the Workplace.